Whenever you get behind the wheel, it’s crucial to be prepared for just about anything. 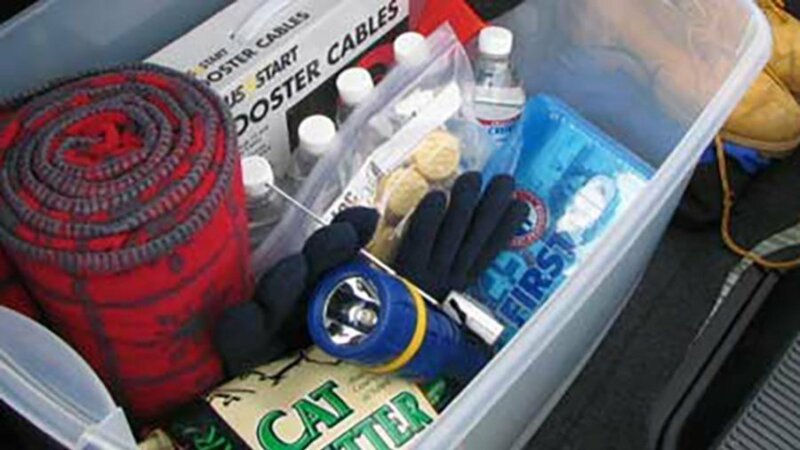 Not only should you carry every day essentials in your car, but it’s even more important that you’re prepared for any given emergency. I have compiled a list of the 10 things you should keep in your car at all times. The only thing worse than a flat tire is not being able to do anything about it. To avoid being stranded without help, you should ensure you know how to change a tire in case of an emergency. You’ll need a spare tire, tire iron, lug wrench, WD-40, and tire jack. In the case your car battery dies, it’s essential to carry jumper cables. This could save you a lot of time and money in the case another driver doesn’t have cables either. Though a first aid kit won’t do much for a serious accident, it’s important to have this handy. You never know what type of injuries you may encounter. A first aid kit can be useful while professional help is on the way. Repairing a car in the night can be extremely dangerous. Reflective triangles are placed behind your vehicle so other drivers can see your car. Especially around a curved road or twisting road, these can really come in handy. You never know when your car may break down or you get caught in a snowstorm. It’s always important to dress adequately for the weather, and to have a backup blanket just in case. There’s nothing worse than driving with a dead phone, especially in an emergency. You should always keep an extra phone charger that will stay in your car, in the case you need to make an important call. It may seem like centuries ago when we used actual maps instead of GPS, but they are still useful. In the case a GPS dies or doesn’t work, a roadmap can save the day. Especially when taking a road-trip, maps are an essential. A flashlight can come in handy for several reasons. From looking for spare change under the seat to needing to check a leak underneath the car, you’ll always find use for a flashlight. Though it may seem obvious, you should always carry your license and registration while driving — at all times. Especially in the case of an accident or emergency, it’s crucial to have all necessary insurance and registration documents. For everyday parking, removable car door guards will save you hundreds of dollars spent on pesky door dings. To maintain a dentless and new looking vehicle, DentGoalie.com offers door guards for cars that are applied while parking. Recently featured by AAA, DentGoalie car door guards are flexible door ding protection panels, applied when parking, with a patent-pending design delivering very broad protection. They are made of high density impact resistant EVA foam with rubber coated magnetic strips, and a security cable to deter theft of the panels. Two sizes are available and these car door panels are universal for use on all vehicles.